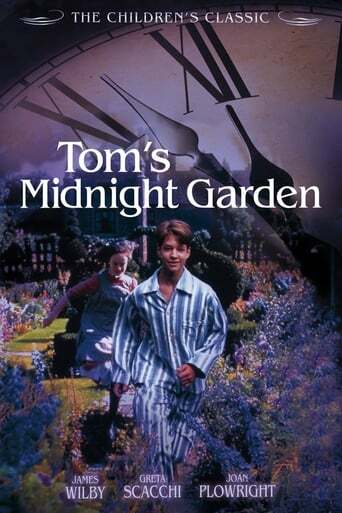 When Tom Long's brother Peter gets measles, Tom is sent to stay with his Uncle Alan and Aunt Gwen in a flat with no garden and an elderly and reclusive landlady, Mrs Bartholomew, living upstairs. Because he may be infectious he is not allowed out to play, and feels lonely. Without exercise he is less sleepy at night and when he hears the communal grandfather clock strangely strike 13, he investigates and finds the small back yard is now a large sunlit garden. Here he meets another lonely child called Hatty, who seems to be the only one who can see him. They have adventures which he gradually realises are taking place in the 19th century. And each night when Tom visits, Hatty is a different age, chronologically out of sequence.